Amtrak has selected 24 members of the literary community as the first group of writers to participate in the #AmtrakResidency program. Over the next year, they will work on the writing projects of their choice in the unique workspace of a long-distance train. The 24 residents offer a diverse representation of the writing community and hail from across the country. They were selected based on their desire to work on their craft in an inspiring environment, and the originality, creativity and quality of their writing samples. Starting in October, approximately two writers per month will travel round trip on pre-selected long-distance trains, with writers covering all 15 long-distance routes. 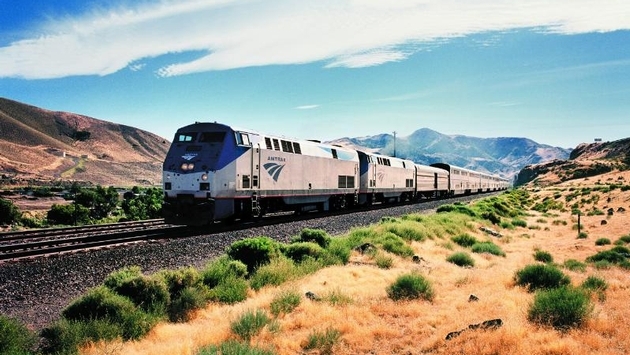 A complete list of selected residents and bios can be found on the Amtrak blog. "Inspired by our passengers, the Amtrak Residency program promotes the unique benefits of our long-distance service," said Julia Quinn, Amtrak director of social media. "Whether you are working or relaxing, train travel provides an incredible, memorable and creativity-inspiring journey." The program received more than 16,000 applications, of which a group of semi-finalists were reviewed by a panel representing the literary community including published author Alexander Chee, Amtrak Vice President of Government Affairs & Corporate Communications Joe McHugh, Random House Editor Samuel Nicholson and Director of Literature for the National Endowment for the Arts Amy Stolls. "I was impressed with Amtrak's outreach to writers the first time I heard about the residency program and how it came about. As a judge, I was won over completely. The folks I worked with were open-minded, fair, passionate about the written word, and committed to rewarding artistic excellence and providing a unique space for writers of all kinds to create and be inspired," said Stolls. The #AmtrakResidency program was launched in March after overwhelming social media interest in Amtrak's long-distance service as a creative inspiration following the residency test-run by Manhattan-based writer Jessica Gross, whose piece, Writing The Lake Shore Limited was published by the Paris Review. For more information on Amtrak and the Amtrak Residency experience, visit blog.amtrak.com or follow #AmtrakResidency.